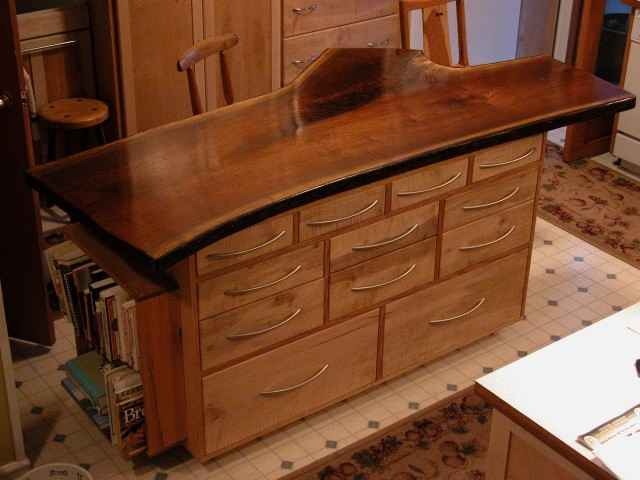 maple kitchen island. This unit features cookbook holder on the end, 2 place settings for bar stools, and 12 deep drawers with brushed nickel pulls. Enough room for pots and pans, casserole dishes, bake ware and flatware drawers. Custom islands built in walnut, cherry, and maple. 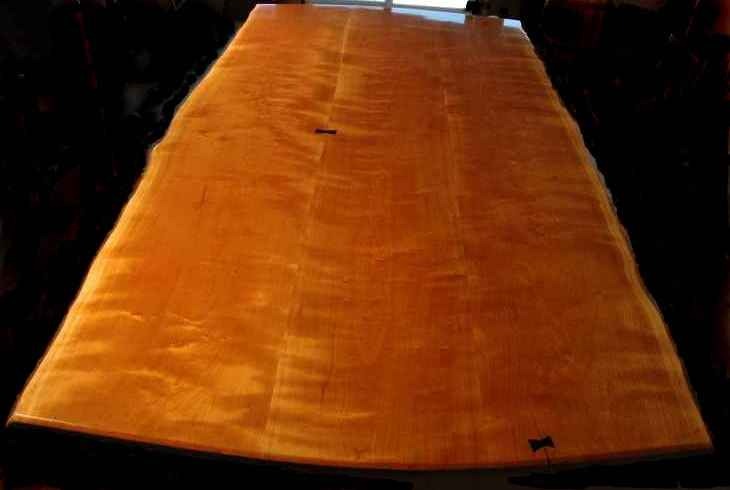 Custom rustic kitchen islands made to order from unique wood slabs.